Towards the end of Ramadan, I decided to check out the Salmiya branch of Sultan Center, for a change. Unfortunately, I got a lot of unwanted attention from the younger set (so thirsty!) which just reminded me why I so rarely visit the Salmiya branch. I mean at Souk Sharq, I pretty much shop in peace (bar one or two minor incidents). However, at the Salmiya branch, I’d end up with a few stragglers trailing behind me the whole time I’d be there and they’d be mumbling the most random things at me! Despite getting absolutely ZERO encouragement from me, they’d even feel the need to give me their input! When I grabbed the KitKat Peanut Butter Bar, one guy was like “No, no, you don’t want that. Trust me, go with the Original“, which despite my best efforts, actually made me laugh (because no one had even asked him for his opinion)! 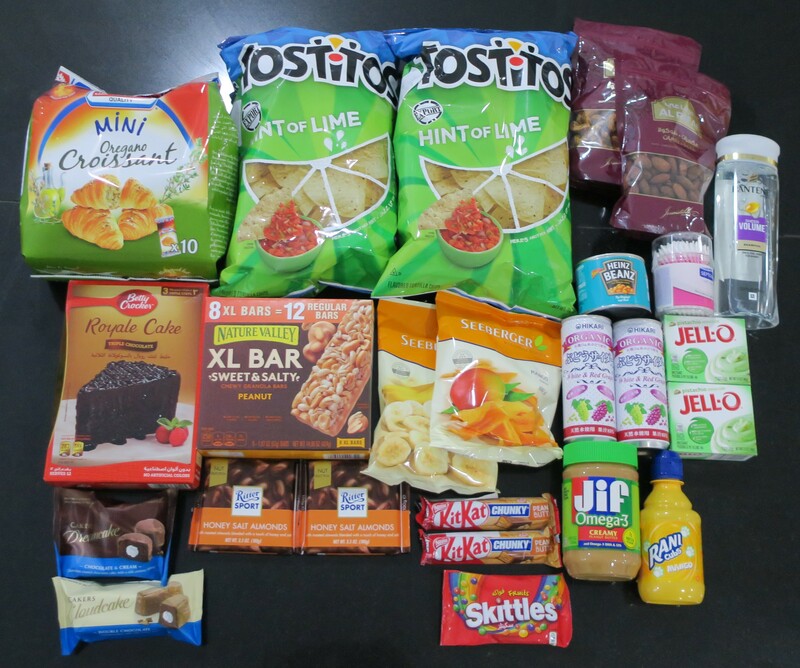 In my efforts to, y’know, live to see another day (full deets here), I managed to snag a few of the more “healthy” snacks (lawl) as you can clearly see. They’ve actually got a ton of cool items over at the Salmiya branch of Sultan Center, but I avoid the place because whenever I do go, it always happens to be crowded, and I personally prefer to hoard shop in peace.